The ship fee of 1d per letter applied from 10th October 1765 to 12th July 1799. The GB inland charge of 3d for less than 80 miles to London applied from 1711 to 1784. 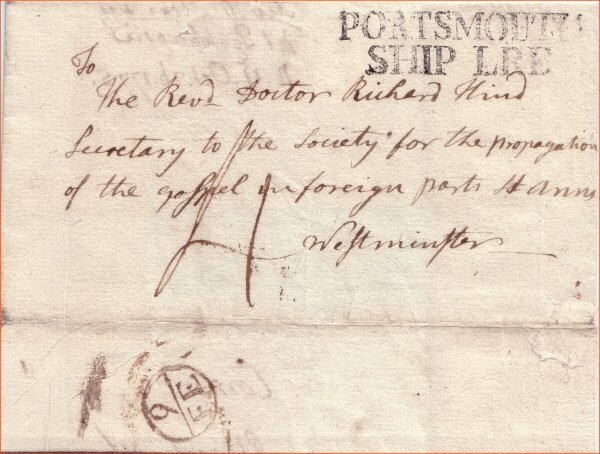 'PORTSMOUTH / SHIP LRE' Robertson type S2a, in use 1775-80.